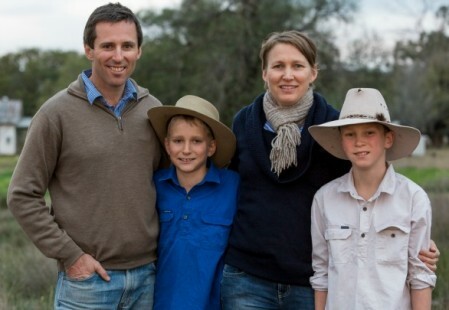 Hi there, we’re Derek and Kirrily Blomfield and together with our boys, Patrick and Reilly, we produce beautiful, nourishing grass fed beef on our family owned farm on the fertile Liverpool Plains of NSW. We’re passionate about healthy eating and strive to provide your family and our family with the most nutritious, chemical free beef possible. 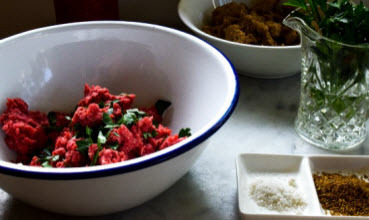 Grass fed, chemical free beef is a nourishing choice. It has a healthier profile of fats and is rich in antioxidants & trace minerals. Read more about the health benefits here. We’re also passionate about the land, the soil and biodiversity. 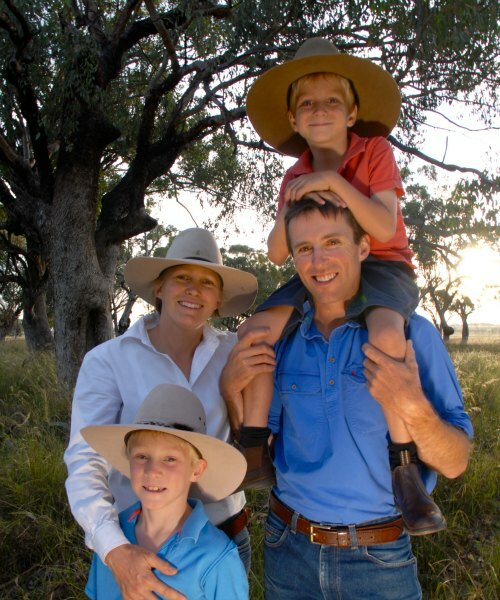 We care for these so future generations of Australians can enjoy it as much as we do. We manage our farm with the aim of regenerating the soils and pastures. We do this by using Holistic Management grazing principles. This helps us to keep our soils covered with plants and plant material (like a garden mulch), which helps us have better rainfall infiltration and clear water runoff. It also encourages natural tree regeneration, greater biodiversity and helps in drought proofing our farm. You can learn more about our conscious farming methods here. We want to look after you – our customer, as well as our cows and our land. It just contains all the things you want for nourishing your body and mind. There are many number of reasons why this is important for your family – read more here. 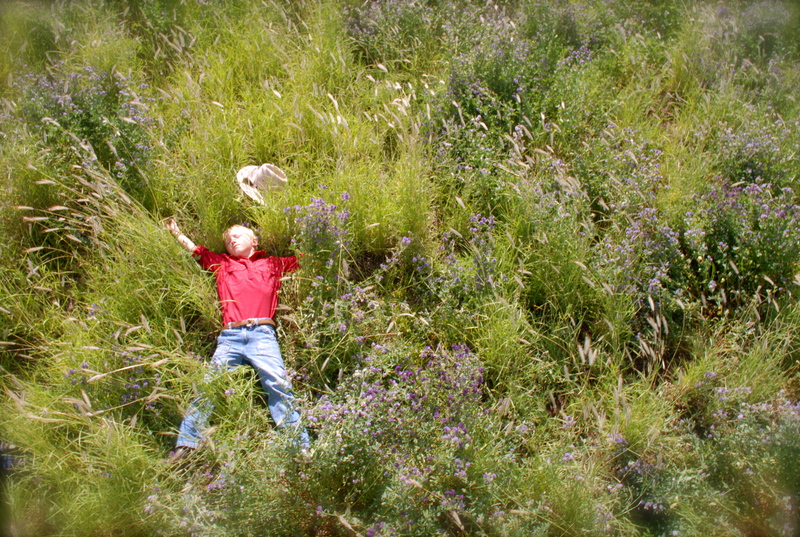 The way that we choose to farm means the pastures on which our cows graze contain a diverse range of plant species. This means that our cows have greater access to the nutrients they need for good health and none of the nasty chemicals they don’t. And it’s these diverse pastures that give our grass fed beef its superb taste. Don’t just take our word for it… here’s what our customers say about the taste. Our family has been on our farm for 70 years, since 1946 when Derek’s grandfather came here. It’s 987ha of beautiful hills, slopes and sweeping black soil plains. 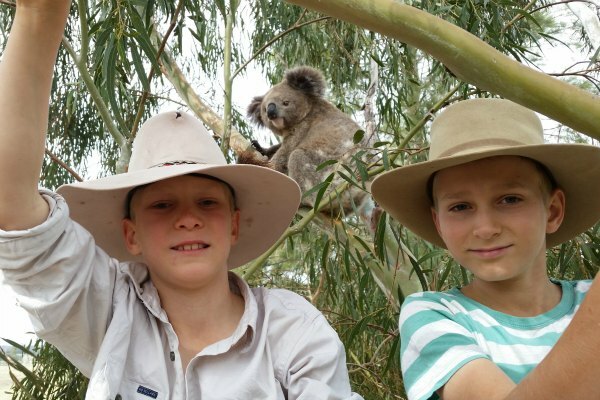 We have abundant native wildlife, including koalas, bearded dragon lizards, red necked wallabies and we have identified 80+ species of birds and counting. These vary from wedged tail eagles to the brown song lark, which has the most beautiful of calls. We believe biodiversity is key to a healthy farm. Derek’s father Sandy still lives on the farm and is an integral part of our business. Along with our cows, we have two happy dogs, some lovely black Australorp chooks – which give us beautiful free range eggs, 3 guinea pigs and a vege patch! We manage our cows ethically and humanely. They graze contentedly in a low stress environment on free range, open pastures. We have studied, and practice the Bud Williams low stress stock handling principles. Put really simply, cows have a ‘bubble’ around them – a bit like our personal space. When anything is in this bubble, it makes the cows a little uneasy. So we are aware of this ‘bubble’ and handle our cows appropriately. Our cows aren’t treated like a commodity, they are treated with respect and with gratitude. We understand that they are providing nourishment for us and our customers, and for this we are grateful each and every time. 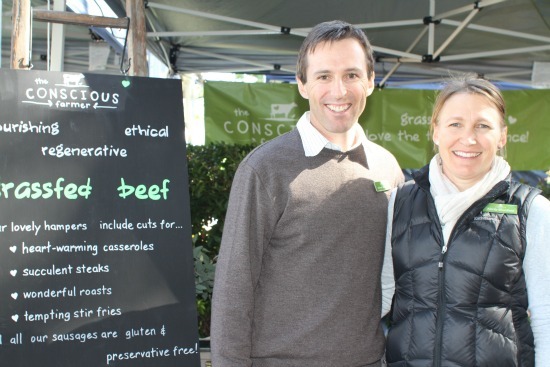 In the end, for us it’s about our passion for conscious farming and wholesome, nourishing food. Every day we wake up knowing we are doing the right thing by our family, our land, our cows… and of course you, our customers! There couldn’t be a more important job than producing nutritious food for people, could there? 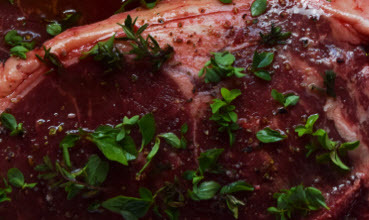 We are accountable to the production principles we talk about – so we welcome you, our grass fed beef customers, to our farm – just call us to arrange a time to visit. We’d love to show you around! Thanks so much to you, our wonderful customers, that have supported us since we began to build The Conscious Farmer brand. It has been a journey of improvement and we are truly grateful for your feedback along the way. We are also grateful for the help of a few people that have spent time with us on our farm, photographing us, our lovely cows, our beautiful farm and our produce. Our wonderful farm images have come from the amazing photographers and friends, Sally Alden and Jeff Tan, as well as some of our own. 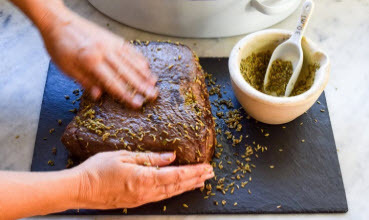 Our very clever, multi-talented friend Megan Trousdale spent a month cooking and capturing all of the images of our beautiful grass fed beef in her kitchen just outside Nundle in NSW. Maybe if we ask her nicely, Megan will share the recipes of some of her scrumptious looking meals! Thanks for the wonderful package, I can’t wait to start cooking. Thank you for giving us the opportunity to be a part of your adventure. The whole process has been fabulous.